With a new team in the NHL, social media is buzzing with potential team names. Some are Seattle-centric, others are an ode to a simpler time. Here are some names that are getting a lot of attention online. With an expanding NHL, there comes expansive online debate of what the new team should be called. 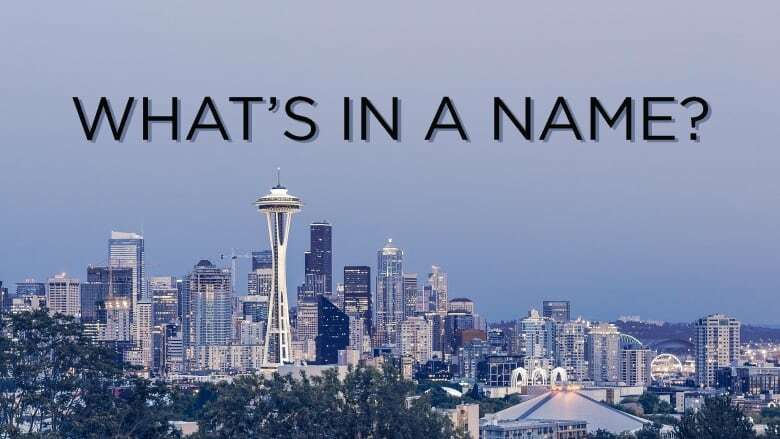 Is there a plant, or an animal that is so ubiquitous to Seattle that it could be used as the namesake?...and something that isn't a Seahawk? Or perhaps, there's a blockbuster movie franchise whose success the new team could ride all the way to a name? FYI, Seattle: Jurassic World: Fallen Kingdom was released in early 2018. According to the oddsmakers, there are a few potential names that COULD make the cut. What do you think of these potential monikers? When Canadians think of Seattle, much of what we know comes from media and entertainment. Or Starbucks. FUN FACT: Pike Place is an actual market, and not just a type of coffee you get in Venti size. If we are to believe what we see on TV, then Seattlites are sleepless (probably due to that Venti Pike Place), eat tossed salad and scrambled eggs, get surgery done by a doctor by the name of McDreamy and often smell like teen spirit. So with that said, here are some options that are getting a lot of attention on social media, good and bad. The Kraken is an enormous sea-monster of lore residing off the coast of Norway. But, perhaps it winters in Washington State? Wait, we could have the Seattle Krakken? There's no other choice! RELEASE THE KRAKKEN! Literally, people just want to be able to yell "Release the Kraken" on game day...and that is their right. Seattle is known for its rainy weather, much like Vancouver, so the Seattle Storm would be a great name! If they didn't already exist. Which they do, AND are three-time WNBA champions. You should probably know that...smh. They already have the Seattle Mariners, so why not stick with the outdoorsy theme? Perhaps a lumberjack, or a fisherman, or bring back the pilots? On that note, why not bring back the Metropolitans? They, after all, were the first American team to ever bring home the Stanley Cup. Sounds like a pretty good omen. Whatever the name, we're sure winning will be just as sweet when they hit the ice in the 2021-22 season! Oh and in case you were wondering, there is still not an NHL team in Quebec City. How will Canadians welcome new Seattle NHL team?